Over the past few months, we’ve had the pleasure of working with this local university for two reasons: 1) many of us on staff attend this university and 2) we wanted to expand our writing staff the produce even more content for all of you. After discussions with the university, we’ve finally been able to give the students of California State University in Fullerton, California (CSUF) a place to expand their learning and career goals. With the official launch of our internship program for students, we’ve also established great relationships with the individual colleges themselves including the College of Communications. Since the College realized that we were a legitimate media outlet that works closely with one of the greatest companies in the world, they knew we had invaluable knowledge that we could share collectively to further encourage and shed light to students and faculty members who want to learn more about the most magical company on earth. 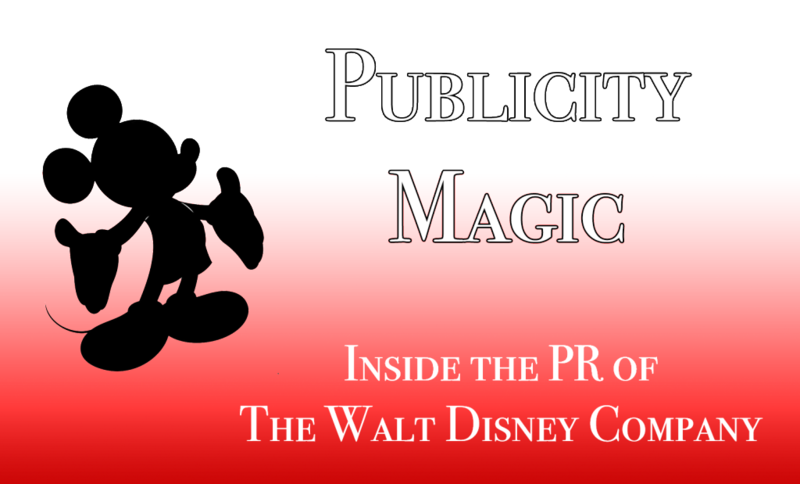 We’re proud to announce that the DisneyExaminer Staff will be hosting an event that’ll show how publicity and public relations work for The Walt Disney Company and how it benefits us and other media outlets in producing content that you see on our site! We’ll be hosting many of the publicists that we work directly with in producing that content on hand to describe their roles and answer any questions that you may have as a fan or as a college student. At the end of the event, we hope that you get a better understanding and appreciation of how the Disney magic being messaged to you is just another reason why you love Disney so much because creating these magical experiences, whether it be movies or theme park attractions, is just half of the magic! So if you’re a PR/comm major, a college student, graduate, or just a Disney fan, we designed this event to be both informative and entertaining for everyone. We’ll also have a lot of fun surprises throughout the event that’ll make you appreciate the storytelling that Disney does for us everyday in how they release news on their new magical offerings for all to enjoy! Please join us for Publicity Magic: Inside the PR of The Walt Disney Company, a part of Comm Week ’14 at CSUF happening next week! The details of our FREE event is below. Oh yeah! You have the chance to win a pair of Disneyland Resort Park Hopper tickets if you attend too! Click HERE for more information. What do you think about how Disney messages their brand to you? How are you affected? Why do you really love Disney so much? Comment and tell us or ask us when you attend our event! Next story A Man with Many Coats.